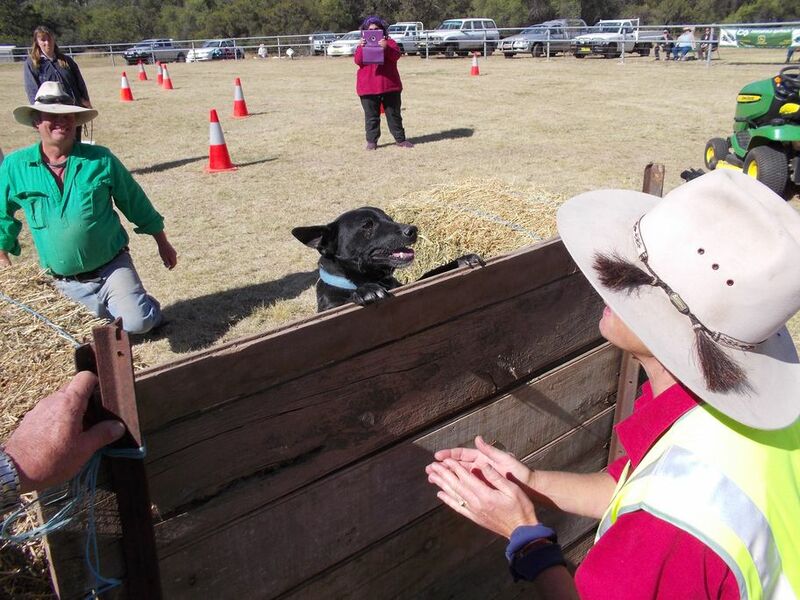 Brian arrived at Wallangra, about 30kms from Rocky Springs, in the ute loaded with working dogs: Bo, Spy, Manu and two of Manu’s pups, Panda and Biggun, who are both just learning the cattle game. 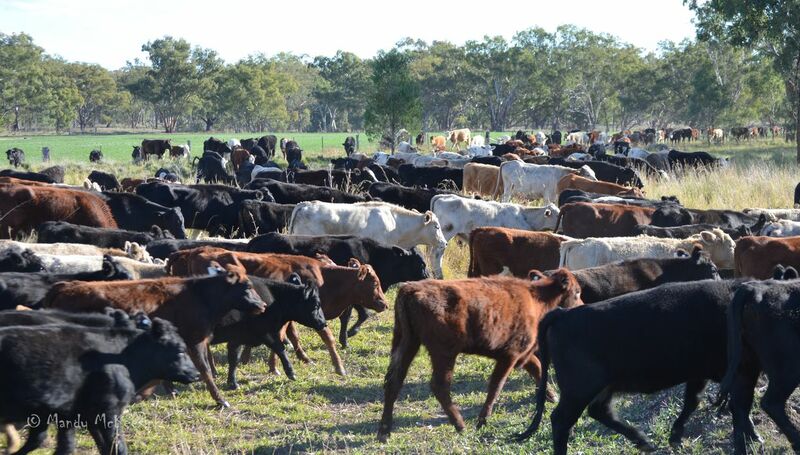 The stock trucks arrived at Wallangra with hundreds of weaners – young calves removed from their mothers – who went through the yards to be vaccinated, drenched and ear-tagged before being turned into the capable hands of the drover and his canines. Freshly weaned calves usually want to do one thing – find Mum; so off they trotted and off raced Spy and Manu to block and turn them back; Brian giving whistles from the ute to direct and instruct the dogs. 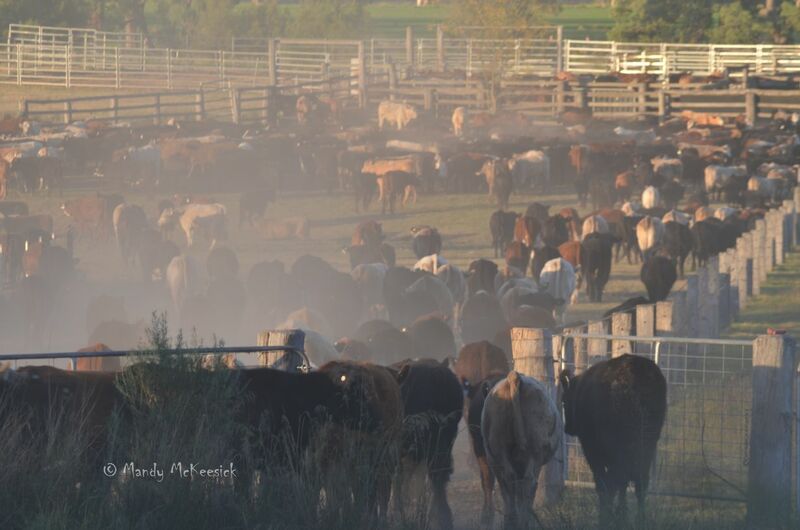 The second thing freshly weaned calves want to do is eat, so the primary role of the drover in the first few days is to block the walkers and settle the mob into grazing. Then weaners, drover and dogs establish a routine. Beware! 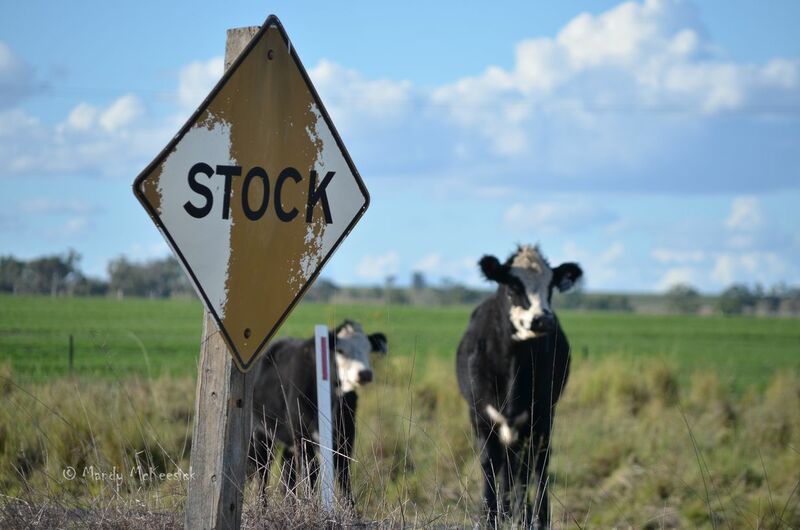 Stock on the road. 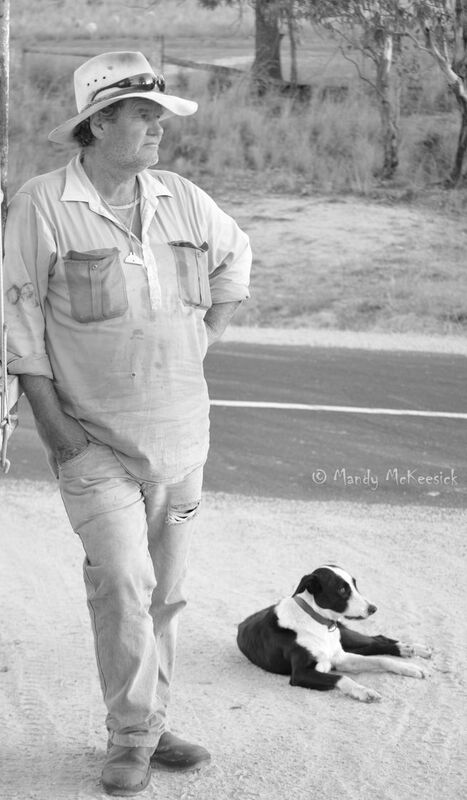 Brian was particularly worried about the young dogs as they haven’t got any cattle sense yet, let alone any road sense. 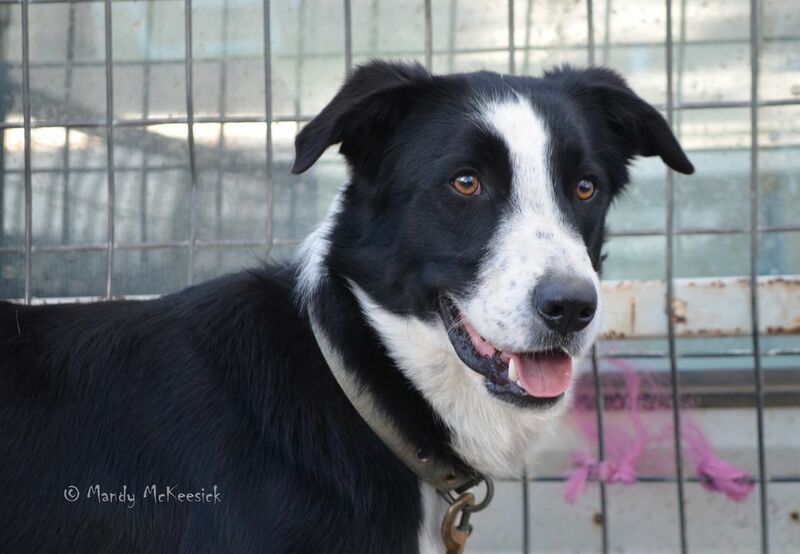 Brian was also worried about Bo; not because he thinks of Bo as a such a good working dog, but because Bo is my dog and Brian would be afraid to come home without him. 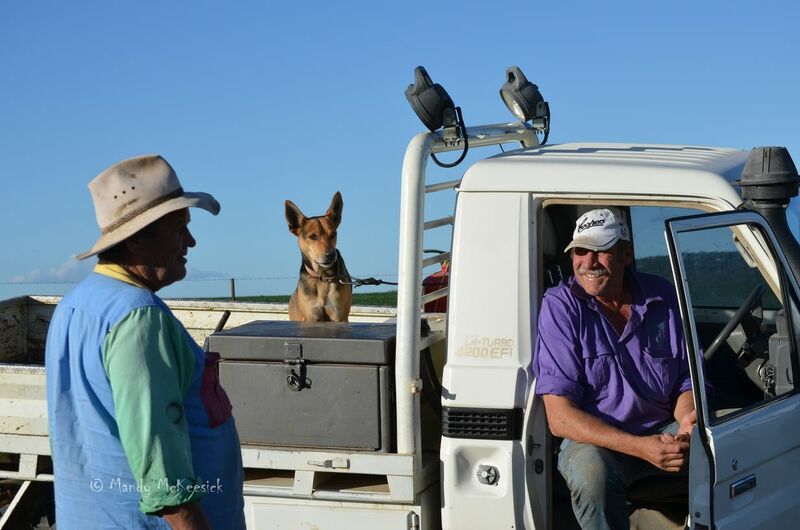 Being only 30km from home the droving crew returned on dark each evening, but the dogs were so keen for the work they would bound onto the ute in the dark each morning; except for one day when Brian had to tell Bo twice to get out of bed. During quiet moments during the day, with the weaners camped under trees chewing their cud, the dogs would be flat out snoozing on the back of the ute, but when the action was on there was a different story. Spy or Manu would race to get to the front of the mob, Bo would let out his mighty bark and Biggun, in a fit of unbridled enthusiasm, hit the ground running and ran straight into a tree stump. Each dog wanted to work. Bo, miffed at missing some of the excitement, clambered onto the roof of the ute, slid down the windscreen and was off after cattle. Manu just went over the top of the cage. Brian ended up chaining them when they weren’t required. or Mick. Even Mick’s young fella (aged 10ish) did his bit, all wide-eyed interest as he acted as Brian’s offsider for a day. And what did the drover’s wife do while he was away? Well she took delivery of 72 cows, tagged, weighed, drenched, mouthed and bang-tailed them, worked them through the yards and settled them in their new paddock. She moved the mobs at Rocky Springs, checked waters and changed trough floats. She cooked and cleaned, did bookwork and wrote a blog post. Friday evening the droving job was over but no-one told the dogs. 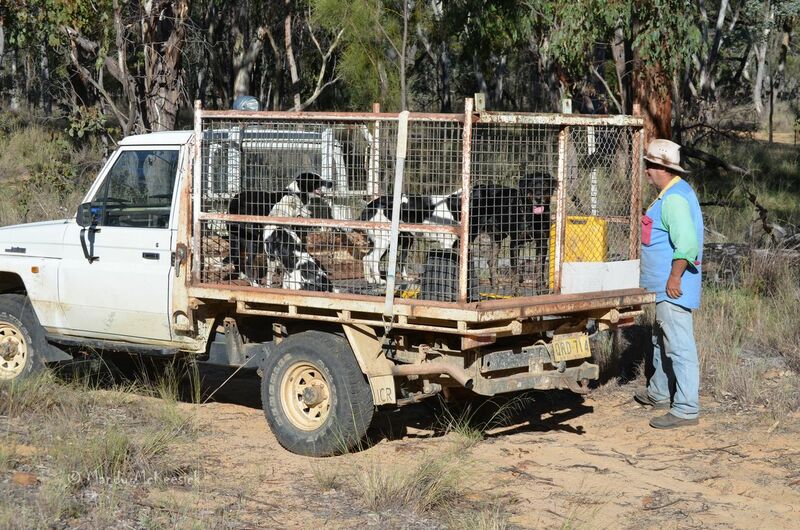 Saturday morning, much to the confusion and consternation of the working dogs, Bonnie and Clyde were loaded onto the back of the ute. There was a tractor pull in Coolatai and the foxies had high-jump records to defend. 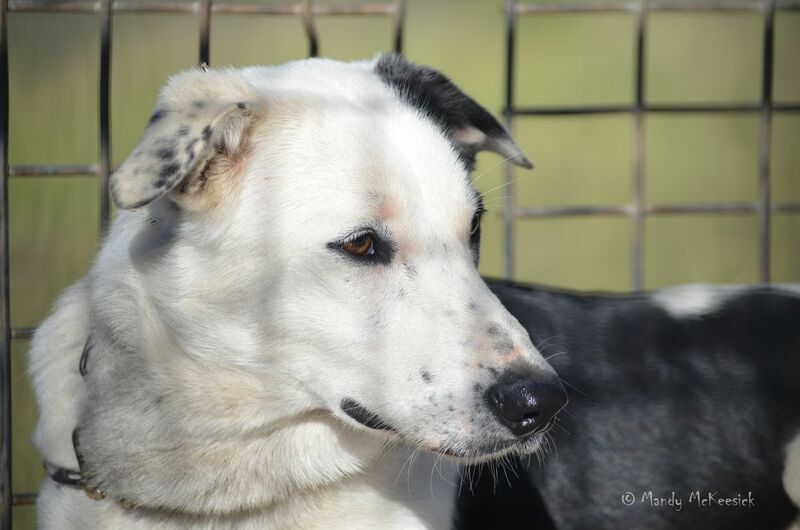 This entry was posted in All in a Day's Work, Hound Dogs and tagged Coolatai, droving, farm dogs, wallangra, working dogs. Bookmark the permalink. Thanks for the detailed view into your lives as drovers. That is some daily routine with the cows and dogs. To be fair we (Brian) were only drovers for one week, but it is something we would consider in the future for a longer time span. Thankfully you left time to write a blog post. Fascinating glimpse of another world. Running into a tree stump is quite enthusiastic. Poor Biggun – his head blew up like a balloon and it took some bush vet skills to fix him. He wasn’t happy with the remedy but is as good as gold now.